The new Nike Zoom Fly SP collaboration with Nathan Bell highlights the unspoken truth that most runners can relate to with text and visuals speaking the thoughts of runners out loud. It’s definitely a love-hate relationship with the sport. 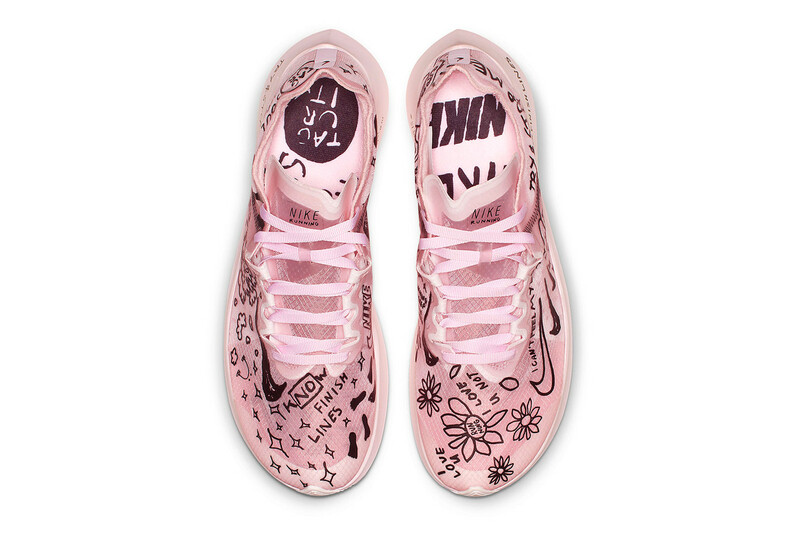 Nathan Bell, an LA based artist and designer is influenced by all things music, pop culture and vintage graphics, and translates to this hand drawn motif on the upper of the Zoom Fly SP. 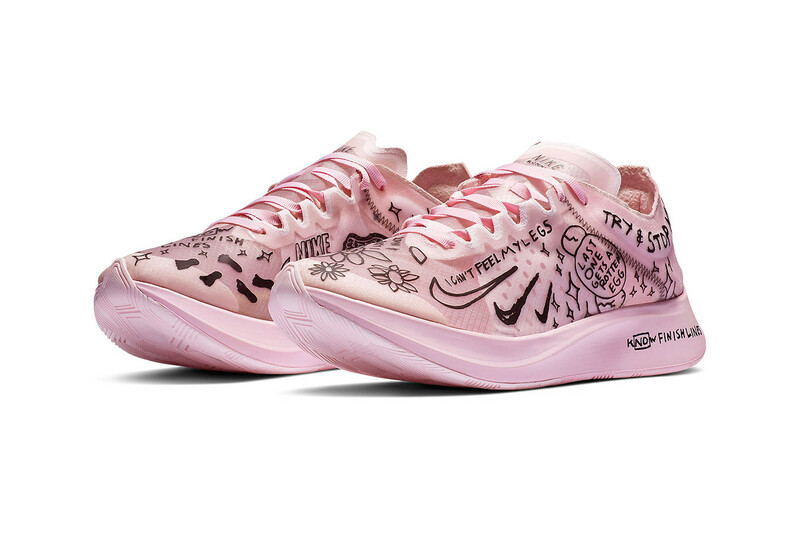 Material wise, there is no drastic change compared to previous Zoom Fly SP’s, but the main focus of this collaboration is the translucent pastel pink upper and the recognizable doodle drawings from Bell. Would you rock this pair? Well, it’s a performance shoe, the Zoom Fly has been known for its comfort and that’s a proven fact. If you’re an avid runner and you appreciate a mix of motivation and realism in your shoe, consider this pair! Who knows, maybe it will help you run further or even at a higher pace. If you’re just an ordinary person that does not run but is very active in sneaker collecting, and also would love to explore different fits by adding some colours to your outfits, this one is for you. With the perfect subtle tone of pink, it’s a good start! If you decide to cop this pair, its only available on the 14th of February on nike.com and retailing at RM689.00.